It has been interesting to observe the trends of our guests visiting Sydney over the past 3 years. Believe it or not Sydney can be a tricky destination when deciding what to see and do and how much time to spend there, compared to other parts of Australia on a limited time frame. 5 years ago our guests averaged 2.5 days in Sydney. Today it’s closer to 4, almost double. The reason? There is so much on offer than just a half day city sights tour and a visit to the Blue Mountains. To make it even more difficult, Sydney offers so many unique experiences. We recently hosted guests from New York researching our amazing Coffee Culture. Isn’t that like selling Ice to Eskimo’s? It makes it easy to lose sight of the iconic aspects of Sydney when so many different experiences are on offer. So, we broke down a list of the top-rated activities you must incorporate into your Sydney vacation to set you off on the right foot. It’s safe to say that Sydney is one of the best cities in the world. Fun, Friendly and Safe, Sydney is a melting pot of experiences. From the historical Rocks precinct to the famous Opera House and the glamorous Eastern Suburbs, Sydney has much to offer. Our Ultimate Sydney Tour connects our guests to Sydney, driving by luxury vehicle throughout the best parts in the morning, stopping for lunch by the beach, before culminating with a two hour sail on Sydney Harbour by private yacht in the afternoon. This tour is a great introduction to Sydney, highlighting the icons and setting you up for the remainder of your stay. The most famous Australian Beach is of course Bondi, located just 20 minutes drive from the centre of Sydney. Make a day of Bondi. Start the morning with a coffee at one of the dozens of amazing cafes. Maybe take a walk, join a yoga class overlooking the iconic Beach, or enjoy a surfing lesson. 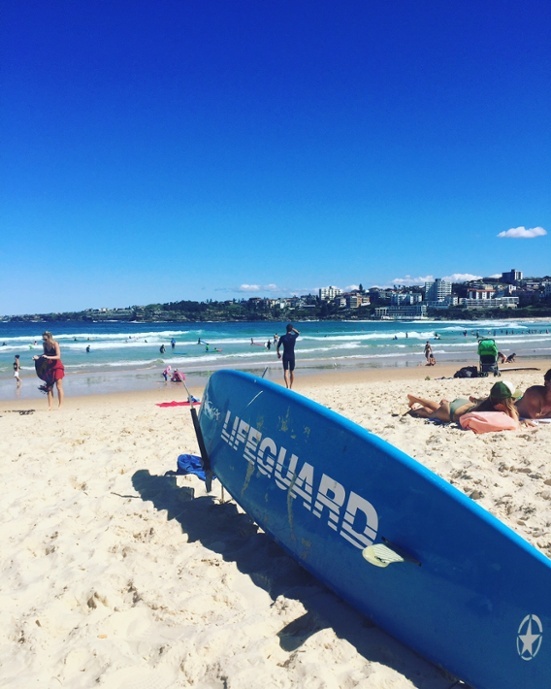 There is an array of lunch spots including Bondi Icebergs or North Bondi Fish, and then finish the day with a stroll along the well known Bondi to Bronte coastal walk. If crowds are not your scene, the great thing with Sydney is that there are 35 other beaches as good as or better than Bondi Beach. Our new walking tours visit amazing beaches like Balmoral or Coogee that are less touristy and will give you more of a locals feel. Bronte Beach is perfect for watching surfers, seeing incredible geological formations, and eating fresh fish and chips overlooking the Pacific Ocean. It is amazing how quickly Sydney has become known for its fledgling food and wine scene and vibrant coffee culture. Travel to the inner city suburbs of Chippendale, Kensington and Alexandria to check out all that is cool. For all foodies, you will go crazy for Spice Alley – An Australian inspired melting pot of Asian cuisine. Sydney boasts some of the best coffee on the planet and if you are looking for a great cup, Brickfields in Chippendale was a finalist for “Cafe of Year” in the SMH Good Food Guide Awards 2017…..Be sure to ask for a Flat white! Later enjoy lunch at award winning restaurant Ester before perusing the well known White Rabbit Gallery. Finish the afternoon with an exquisite cheese tasting with wine pairing at nearby Surry Hills, a 15 minute drive from the centre of Sydney. The UNESCO World Heritage listed Blue Mountains are only 90 minutes drive to the West of Sydney. Well known for their extraordinary landscapes and natural beauty, the Blue Mountains offers a myriad of sights, sounds and experiences. It would be easy to spend a handful of days in the incredible Blue Mountains experiencing things like day spas, festivals and rock sports to name just a few. Since there is so much, we created the Blue Mountains High Country Eco Tour. Travel out of the city in a luxury vehicle and into the wild of the National Park. See Koalas, Kangaroos, Wallabies and Wombats up close. Enjoy a picnic morning tea and later view the stunning beauty of the Jamieson Valley. Take a hike along secluded tracks to see spectacular waterfalls before returning to the city. 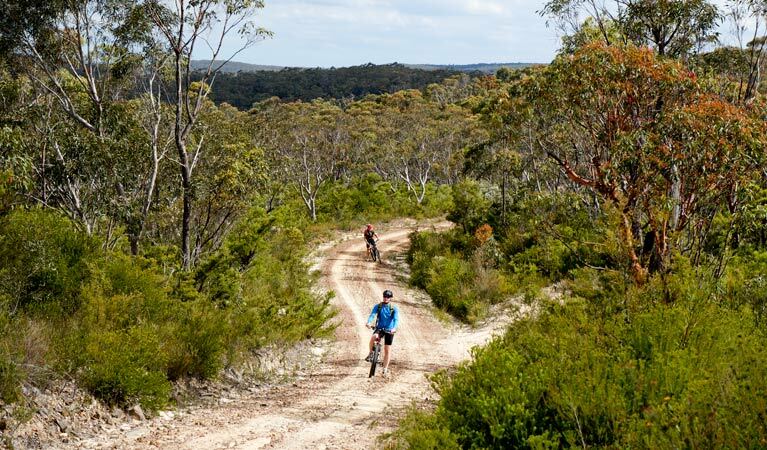 If you would like to include more adventure in your trip to the mountains, one of our favourite experiences right now is a fantastic guided mountain bike ride to Narrow Neck near the town of Katoomba. Ride along a Plateau that stretches out into the wilderness dividing the Jamieson and Megalong Valleys, it would have to be one of the best rides in the Blue Mountains! Ensuring you enjoy every amazing food and wine experience, spectacular sight and unmatched outdoor beauty that Australia has to offer is a tough feat. Designing and developing a wide variety of private, tailor made luxury tours throughout Australia has allowed our guests to enjoy that “Once in a lifetime” experience in Australia.